MIFFLINTOWN – When is a tie not a “tie”? When the “Ty” in question is the winning pitcher for the Juniata baseball team. Ironically, Treaster and his feisty Indians’ baseball team broke up a tie in the bottom of the ninth to give Ty the win. 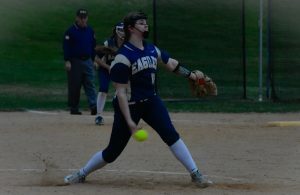 In their game against rival Tri-Valley League foe East Juniata, Juniata battled back to tie its contest in the bottom of the seventh, sending the game into extra innings. Going into the bottom of the ninth, Justin Mingle’s triple to lead off the inning and a sacrifice fly by teammate Aaron Zendt completed the comeback attempt, winning 5-4. Treaster started the game on the mound facing off against East Juniata hurler Bailey Coder. Coder got the early advantage on the mound, tossing a no-hitter going into the fourth inning. The young Juniata hurler didn’t start out as sharp –allowing a run in the top of the second and three in the fourth. Despite trailing 4-0, Treaster hung in there and got better as the game progressed, keeping the Tigers off the base paths for the most part in his seven hit effort. 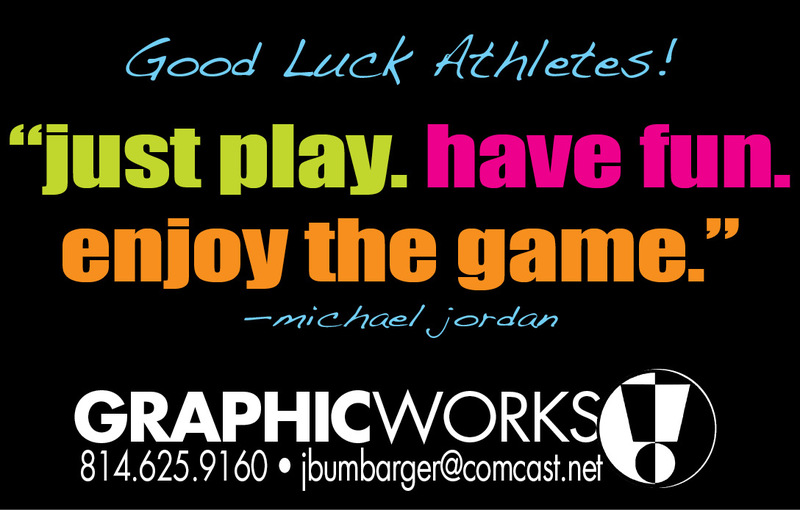 “Its all about two things tonight,” Juniata manager Nick Beward said. “Pitching. Ty Treaster, by far his best pitching performance in high school baseball. He’s pitched since he was a ninth grader when we were in the Mountain League for one year he did decent. Last year at times he fought soreness on his arm. This year he showed at times he could do it. Tonight he didn’t just show that he could do it. He proved it. Going into the ninth, Treaster was still on the mound, hoping to shut down the Tigers one more time before going to the bench. He did just that, sending three out of the four batters he faced back to the pine. With one swing of the bat, Mingle blasted a line shot into the depth of right centerfield for a stand up triple. Teammate Jon Ruble followed with a walk, putting runners on the corners with no one out. Zendt stood up to the plate and sent a shallow fly ball into centerfield. As the ball was caught, Mingle tug up and scurried to the plate. The throw from the outfield looked as if it was going to make it a close play at the plate but the ball hit the bat that was laying on the third base side and bounced over the catcher’s head allowing Mingle to cross the plate and end the game. 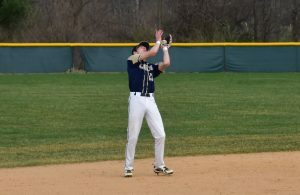 In the second inning, Kyle Hart reached on a Juniata error. Coder brought in the Tigers’ first run when he smacked a double to right centerfield, scoring Hart on the play. East Juniata was back at it in the fourth. The inning was highlighted by a 2RBI single by Terran Sheaffer. On the single, Sheaffer brought in Chas Maguire and Mason Hambright. Earlier in the inning, Coder singled and scored to up the Tigers’ lead to 4-0 as the bottom of the fourth got underway. The Indians cut the lead in half in the bottom of the inning. With one out, Chantz Swartz doubled and then scored thanks to a triple by Dakhota Sweitzer, making it 4-1. Sweitzer’s stay on base was a short, scoring on an RBI fielders choice by Treaster. 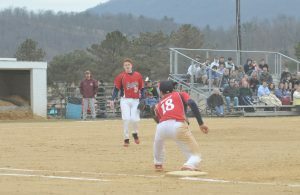 The score remained 4-2 going into Juniata’s last at bats. However, the Indians’ seemed unphased as they went right to work offensively. Treaster helped his own cause, walking to start off the inning. Dylan Loudenslager followed with a sizzling single into centerfield. He was later replaced on the base paths by pinch runner Derek Snyder. Mingle’s RBI single scored Treaster and brought Snyder to third. Snyder scored to tie the game at four when Zendt hit a sacrifice fly.